Please call if you require help with applying for your provisional licence. We can also help you with free training material for the theory and hazard perception tests. We can also help you to prepare for the New Driver CPC Module 2 Case Studies and Module 4 Practical Demonstration test. We like to understand what training each of our customers need, so we recommend that before you undertake a full course of training you complete initial training (3 – 6 hours in the minibus or 6 hours in the bus) so that we can tailor the length of the course to suit you. We can then take into account existing driving experience as well as aptitude. 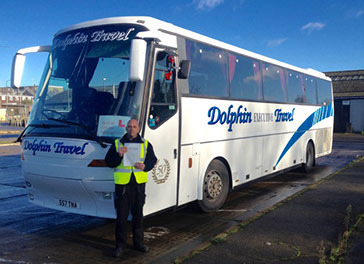 We don’t own our own bus/minibus training vehicles, but we have access to hired vehicles. You can also train using your own vehicle, or a vehicle provided by your employer (as long as the vehicle meets the requirements for the driving test). £35 + vat per hour using vehicle provided by you, £45 + vat per hour using vehicle provided by us. £45 + vat per hour using vehicle provide by you, £55 + vat per hour using vehicle provided by us. Please call us or email carol@mdtnorwich.co.uk to discuss your requirements.